Tank Services - Tank Services is made of A bag that fits to a standard 20feet converting it to carry 20 tone of non hazardous Liquid. cargoes which are non hazardous and non viscous with specific gravity less then 1.5 is compatible with Tank Services. Tank Services - Can carry 40% or more cargo than drum and 50% or more than bottles Eliminate repositioning of tank containers Eliminate cleaning cost No disposal costs. ISO TANK ISO TANKS-Tank containers are stainless steel pressure vessels built within a standard ISO 20 frame. 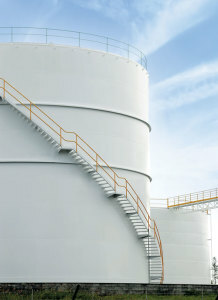 Tank Containers provide a cost effective, efficient, environmentally friendly and safe method for the transportation and storage for bulk liquid distribution. The use of tank containers minimizes the danger of contamination and cargo loss associated with the use of drums. ISO Tank Containers can be used to carry the following products Ammonium Nitrate, Bio-diesel Molasses, Caster Oi,l Hexane Ethanol, Ethylene Methanol. TANK-IMO 1(Hazardous liquids), IMO 2(Low Hazardous liquids), IMO 0(Wine Fruit Juices Vegetable Oils Mineral Oils Non-hazardous Oils),IMO 5(gases-including- Propane Butane efrigerants), IMO 7(cryogenic gases, including LNG). MOVMENT OF GENERAL AND HAZ LIQUID CARGO We are involved in moving bulk liquid cargoes transport for Hazardous, Non hazardous and food grade cargoes in ISO TANK and Flexi tanks. We have worldwide network of associates, which consist of freight forwarders, vessel owners, transport equipment owners etc. ere in the world. We also assist our clients in customs clearance, route survey etc. We offer expert consultation on Hazardous and non hazardous shipment. At any given point of Time we are in a position to Confirm competitive freight, inventory availability and Total service commitment.